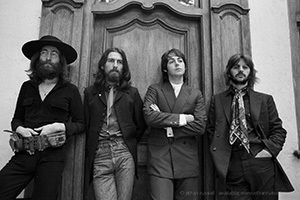 The only known rock ‘n’ roll photographer to have shot album covers for legendary bands The Beatles, The Rolling Stones and The Who will relive his rock history experience in a program at the University of Wyoming Friday, Oct. 20.“Ethan Russell: The Best Seat in the House” will be presented at 7:30 p.m. in the College of Arts and Sciences auditorium. UW Presents and the Campus Activities Center’s 7220 Entertainment sponsor Russell’s program.Tickets cost $15 for the public; $12 for faculty, staff and senior citizens; $10 for children; and are free for students with valid student IDs. Tickets are available at the Buchanan Center for the Performing Arts box office and the Wyoming Union information desk, by calling (307) 766-6666 or going online to www.uwyo.edu/finearts.“UW Presents is committed to programming a variety of entertainment and expanding the breadth of offerings for arts and culture in Laramie,” says Janelle Fletcher, UW Programs director. “We found Ethan Russell through his agent, and decided that an evening of rock ‘n’ roll history presented in such an entertaining way was a perfect fit for our new name and new expanded vision.”The event provides the audience with an opportunity to hear Russell’s career and experience of working with some of the most notable rock ‘n’ roll legends in music history. Russell is a twice-Grammy-nominated photographer, director and author. Before being recognized as one of the most well-known rock ‘n’ roll photographers in the world, Russell lived in London, where he first wanted to be a writer.According to Russell’s official website, in 1969, he worked as the photographer for The Rolling Stones’ American tour, when a member of the band, Bill Wyman, said, “Ethan Russell has taken some of the greatest pictures in rock ‘n’ roll, maybe the greatest ever.”A music critic discussed Russell’s work with The Rolling Stones.“You think you’ve seen all there is to see of The Rolling Stones. You haven’t,” The London Sunday Times once wrote. “Ethan Russell’s photographs reveal a completely different side to the band, relaxed, unguarded, and light years away from any rock-star posturing. 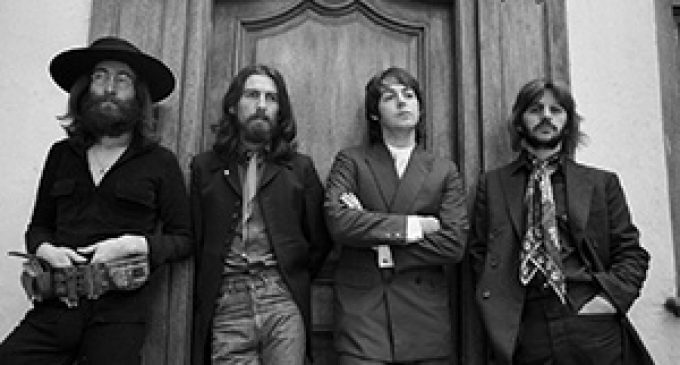 The only way you’d get closer would be to join them on tour.”In 1971, he photographed The Who’s cover, “Who’s Next,” while also shooting the cover of The Beatles’ final album, “Let It Be.” His photographed work on The Who’s “Quadrophenia” album was nominated for a Grammy.He directed John Lennon’s last video, a week before he was murdered in New York City. Russell has photographed a variety of other famous musicians and bands, such as Jim Morrison of the Doors, Janis Joplin, Linda Ronstadt, Jerry Lee Lewis, The Moody Blues, Cream and Traffic.Aside from Russell’s photography career, he is the author of three books: “Dear Mr. Fantasy,” “Let It Bleed: The Rolling Stones’ 1969 U.S. Tour” and “Ethan Russell: An American Story.”Russell, born in New York, now travels throughout the United States and Canada to share his experience as a rock music photographer.For more information about Russell, visit his website at www.ethanrussell.com.